Three years into the company, their VCs came knocking. Enough of this heads-down coding, they said. It’s time to get serious and build a business. In other words, grow up. Armon Dadgar was 24 years old. His co-founder Mitchell Hashimoto was 26. That’s when they realized they needed help. The series of decisions they made next were humbling but made their company what it is today. HashiCorp helps major enterprise clients like Barclays and Adobe run their applications in public cloud or mixed environments. Its portfolio of products covers four key constituents in IT: operations, security, networking, and development. At first, VCs thought they were crazy to build a broad suite of products. Yes, Silicon Valley was founded on these kinds of companies — HP, Microsoft, and Apple are the bedrocks of product integration. But tech has since crowded the consumer market with niche, a la carte tools, apps, and software to the point of parody. Did the world really need Uber for dog poop? No, but concepts like it abound and are just splashy enough (no pun intended) to market big and take public quickly. “The traditional advice most startups get is: ‘Focus, focus, focus. Pick one thing and do it well,’” says Dadgar. But he and Hashimoto weren’t interested in that kind of business. They were young and just naive enough to believe they could change the world and build a legacy for the long haul. 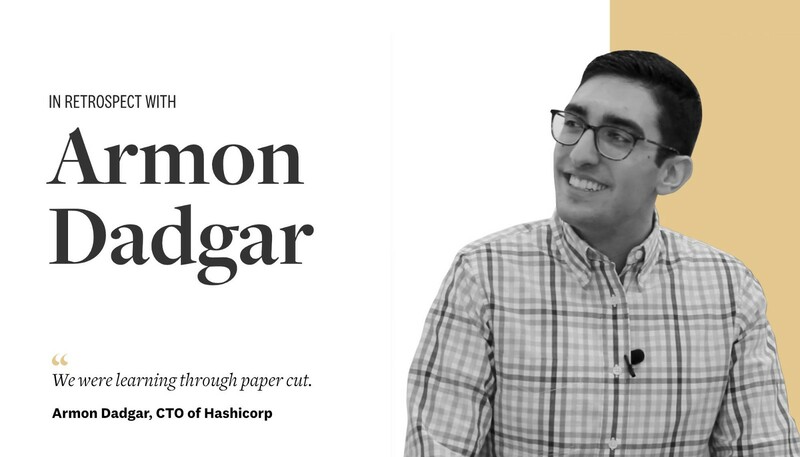 Read my full interview with Armon Dadgar about founder embracing naivety as a tool for success, brought to you by Soulbelly’s latest partnership with Preferred Return.